Ub Iwerks invented “Mickey Mouse” and “Multiplane camera”. Ub Iwerks (formally Ubbe Eert Iwerks) is best known as the co-creator of the Mickey Mouse cartoons for Walt Disney. Ub was born in Kansas, Missouri in 1901 but his father had originally come to America from Germany. In 1919, Ub Iwerks met Walt Disney at the Pesmen-Rubin Art Studio in Kansas and the two became close friends. After leaving the Art Studio, they both joined the Kansas City Film Ad Company where Disney proposed that they start working together in animation, to which Iwerks agreed. 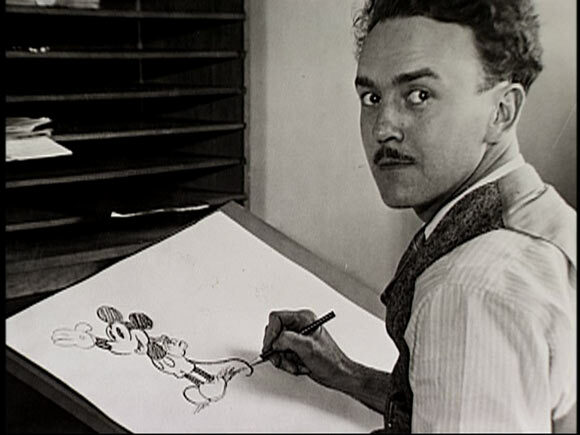 Iwerks developed a number of cartoons, animations and characters for Disney. He was Disney’s chief animator for the Laugh-O-Gram cartoon series. When Disney’s first studio went bankrupt, he moved to Los Angeles where Iwerks followed him. There, the pair began to work on a number of new series such as “The Alice Comedies” and “Oswald the Lucky Rabbit”. Disney later setup another studio where Iwerks began to develop new characters for him. This led to the development of the most famous and beloved Disney character, “Mickey Mouse”. The first few Mickey Mouse series were animated entirely by Iwerks. However, the two of them had a falling out as Iwerks felt that he could not cope up with Disney’s demands and that he was not getting enough credit for the work that he was doing. Iwerks quit working for Disney and started an animation studio under his own name, The Iwerks Studio. It opened for business in 1930 but did not have any major successes to its name, at least not enough to rival Disney. Disney suffered temporarily from Iwerk’s departure but he soon hired talented young animators and set his business back on track. Meanwhile the Iwerks studio signed a contract with MGM to distribute new cartoons called “Flip the Frog” and “Willie Whopper” but none of them took off. The company went bankrupt in 1936. Iwerks then animated a number of other series including some shorts for Looney Tunes, but returned to work for Disney in 1940. Disney gave Iwerks permission to do as he pleased and Iwerks used Disney’s resources to develop special effects techniques for animation, many of which are still in use today. He also developed the process for combining live action with animation which was used in the film Mary Poppins and for which he won an Oscar in 1956. Some of his other work included developing Disney theme park attractions in the 1960’s and working on special effects for Alfred Hitchcock’s film “The Birds”. He revolutionized the animation industry with his characters, designs and technical advancements. Ub Iwerks liked to excel at everything he did. Other than being a talented animator, mechanic and designer, he was a marvelous sportsman and excelled at archery and bowling, among other sports. He was fascinated with machines and took them apart to see how they functioned. He was dedicated to everything he did and is reported to have drawn between 600-700 cartoons a night when working on a new project. He had a great sense of humor and was popular amongst his colleagues. Ub Iwerks’ son, Don Iwerks, also worked at Disney and is a part of “Disney Legends” which is a group of people recognized for their extraordinary contributions to The Walt Disney Company. Ub’s granddaughter, Leslie Iwerks, published his biography in the form of a documentary as well as a book titled “The Hand Behind the Mouse: The Ub Iwerks Story“. Ub Iwerks died of a heart attack in 1971 at the age of 70.